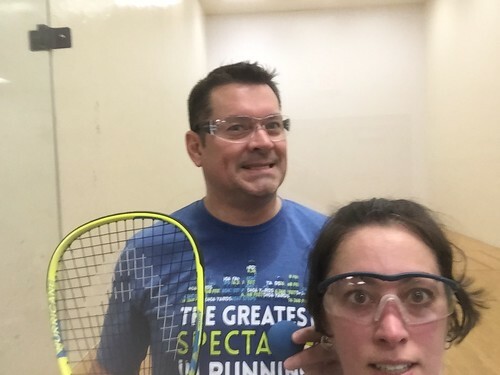 After being MIA from the racquetball courts for 10+ years, I found a new partner to introduce to the game! 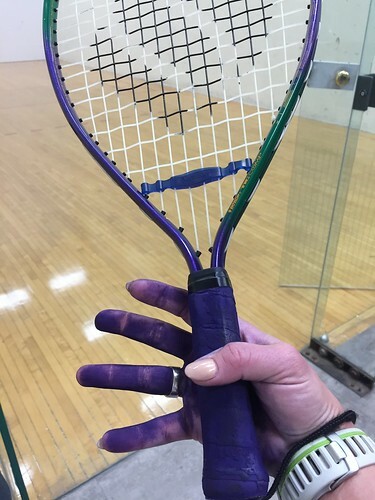 Grabbed my 15 year old racket – Let’s play ball! After 20 minutes, I look down to adjust my racket and WTF?! The tape literally turned to powder in my hand! Guess this puppy is done. Thanks to Amazon, my new racket will be here by the weekend. Racquet on!